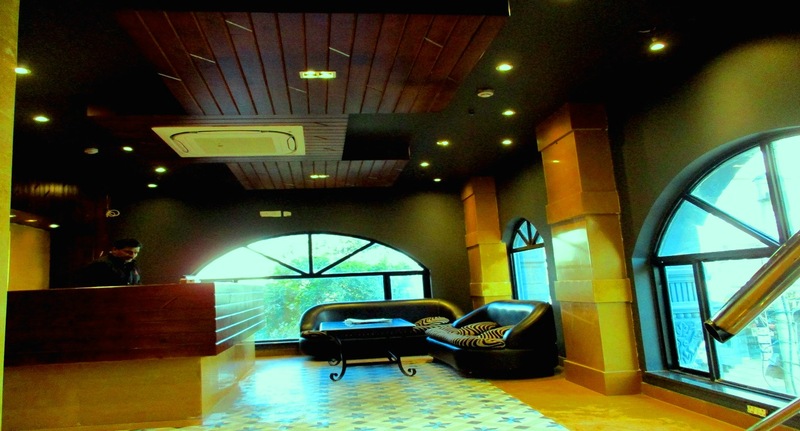 Hotel Kings Corner finest in Budget Hotel in jaipur and best located Business Hotel in Jaipur. Hotel Kings Corner is affordable Centrally air conditioned budget hotel blends the traditional Rajasthani Hospitality and Indian Modernism. We offer you some of the most delightful facilities and amenities in the hotel business to choose your relaxation mood. All these facilities are available at Hotel Kings corner is one of the Best Economic Hotels in Jaipur. 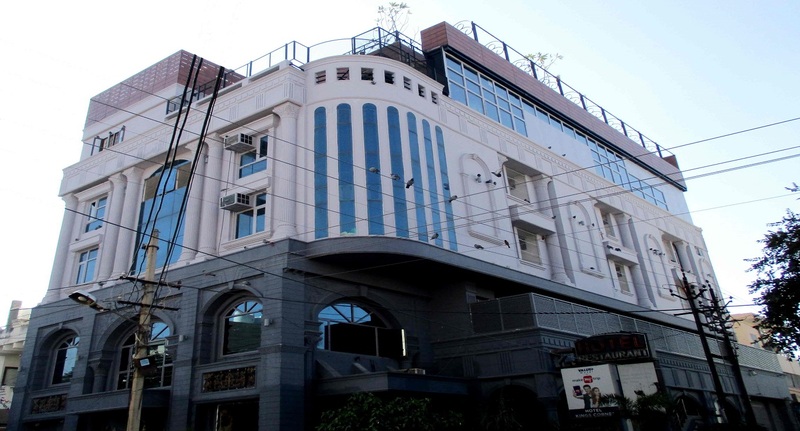 Hotel Kings Corner situated near Birla Mandir famous Tourist place of Jaipur and all important Jaipur tourist places are in just under 10 min. away from Hotel Kings Corner. 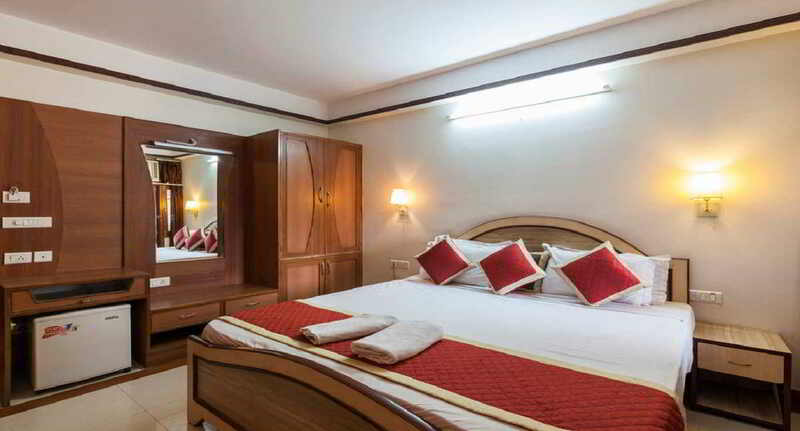 In Hotel Kings Corner you will find best accommodation in Jaipur on very economical rates. Some Renovation work going on in the property at ground, first and terrace floor, neverthless the rooms located at 2nd & 3rd Floors are operational in normal manner and are well maintained and taken care of..
20% Discount on all Type of Rooms. Chairs are nicely designed but too big for that room. Washroom is not properly equipped with necessary things, towel was not there after asking they give one towel and most have a dim light. Food menu card was not there, overall experience was good though the receptionist was really helpful. It was nice time to stay in Kings Corner Hotel as service was the best part. The manager and rest of the hotel staff was 24 hours ready to listen to you. Raja Park much near to my working place. Bar is well managed. I can get almost every type of drink I wish. Will come in future to this hotel, if I come to Jaipur. Centrally located. Very near to chowki dhani, amer fort, nahargarh fort, Raj mandir and city palace. Food is tasty and service is very good. 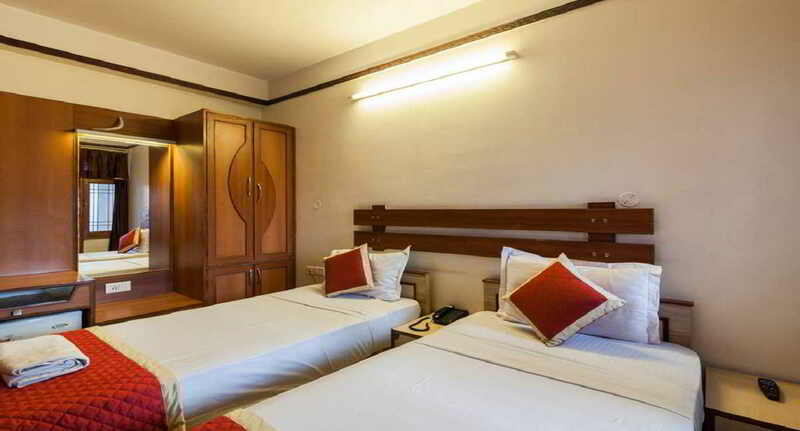 Rooms and washrooms are clean and well maintained. Most appropriate place to stay. Roof top is beautiful. Very impressive! 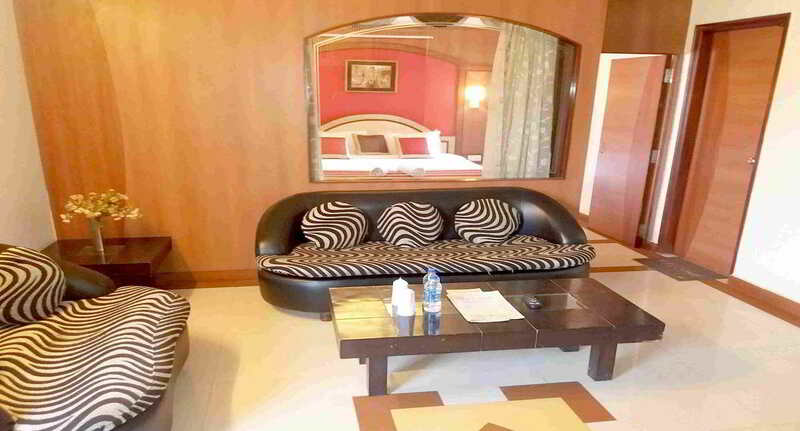 I have booked this hotel room through MakeMyTrip really value of money. Location is good very closed to Raja park Market.I have enjoyed the food specially breakfast unlimited quantity. Good room services. Thank you to MakeMyTrip for this offer. It was great stay at Hotel Kings Corner. Room was very clean. Hotel staff was good and polite. Food was good however less option, breakfast was also good. very good for family stay. free WiFi. 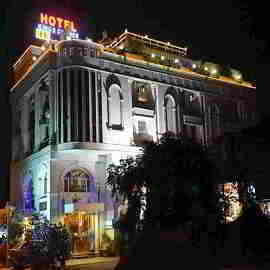 I recommend Kings Corner Hotel, Jaipur. I will come again. Nice hotel. Overall good. Neat & clean room. Food was tasty. Some suggestion food menu modify with more dish add, but all type food available that is good. Free WiFi good with high speed. We gone on the roop top sky lounge where WiFi work with good signal. Hotel location good. Because here is specious area. We will come again. Hotel best location per hain aur bahut badiya hain. Room bhi badiya hain and service bhi badiya haini. 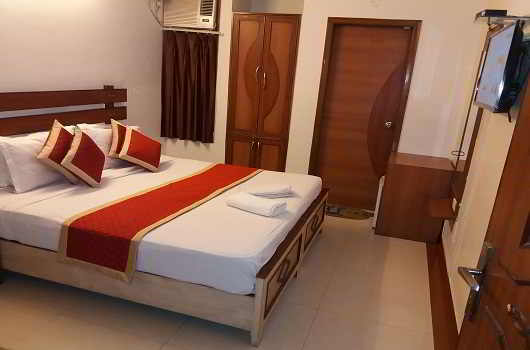 Isme koi kami nahi hain, best hotel hain 2 saal pahle bhi ye hi hotel book karvaya tha achi location per hain. Best hotel.